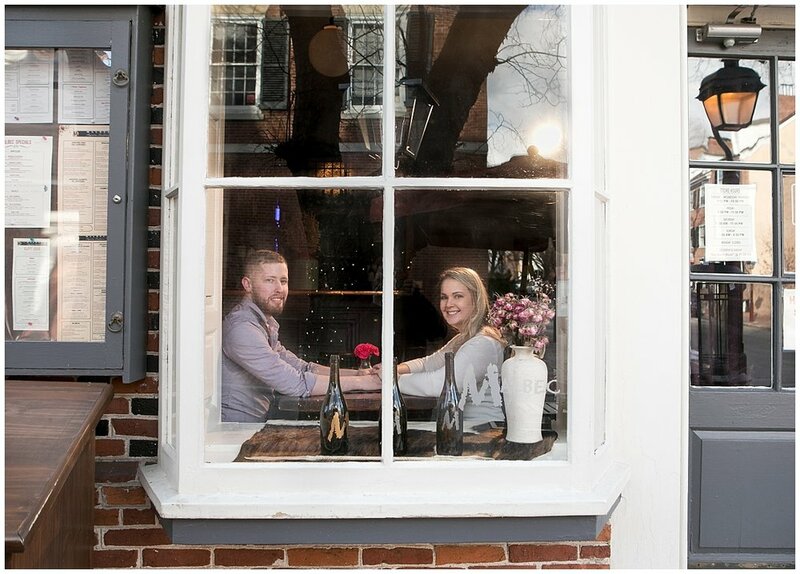 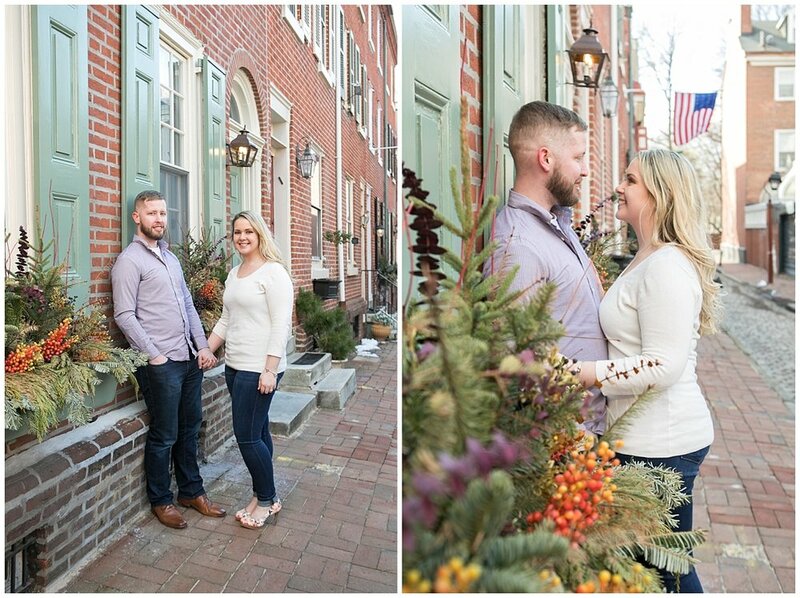 I met Chelsea and Matt in the Society Hill section of Philadelphia on a chilly spring day for their Philadelphia engagement session. 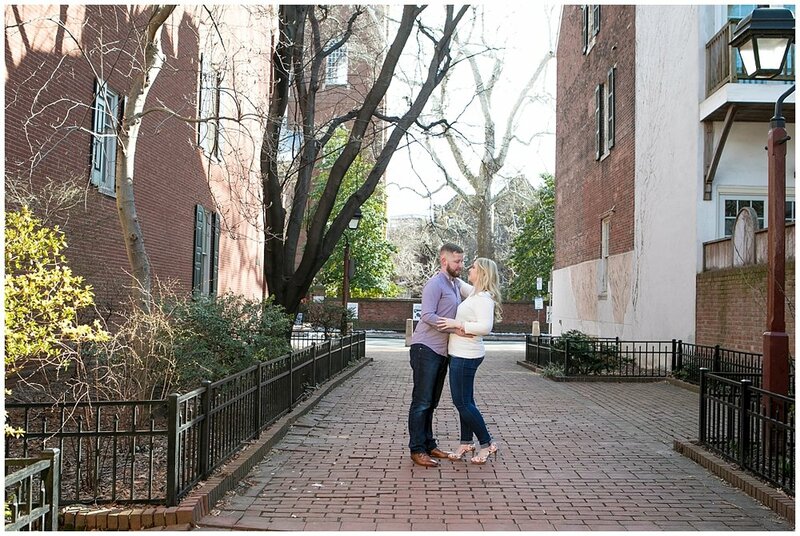 We explored the streets while discussing all their plans for their upcoming wedding. 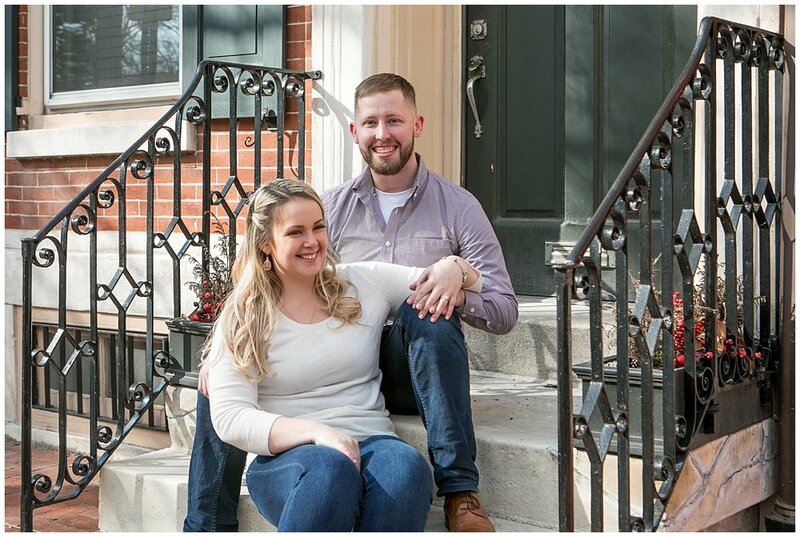 It was such a nice afternoon and the weather held off just long enough for us to get our shoot in before it started to rain! 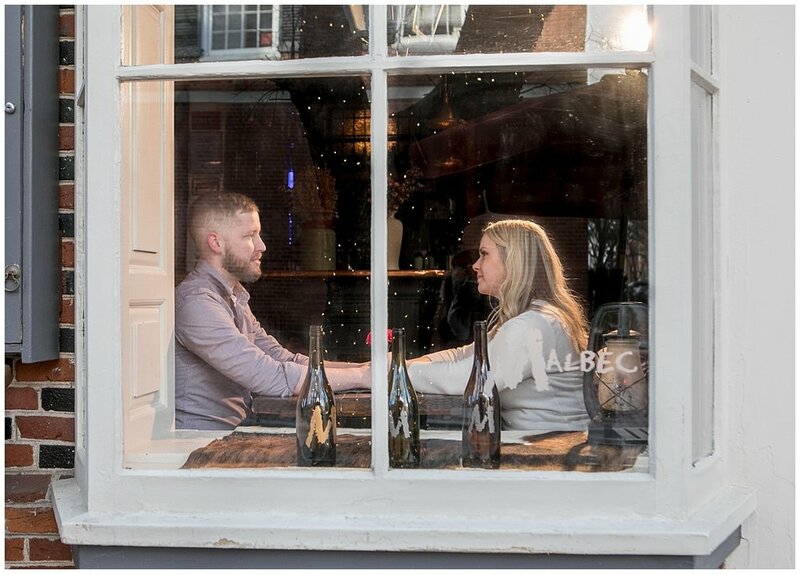 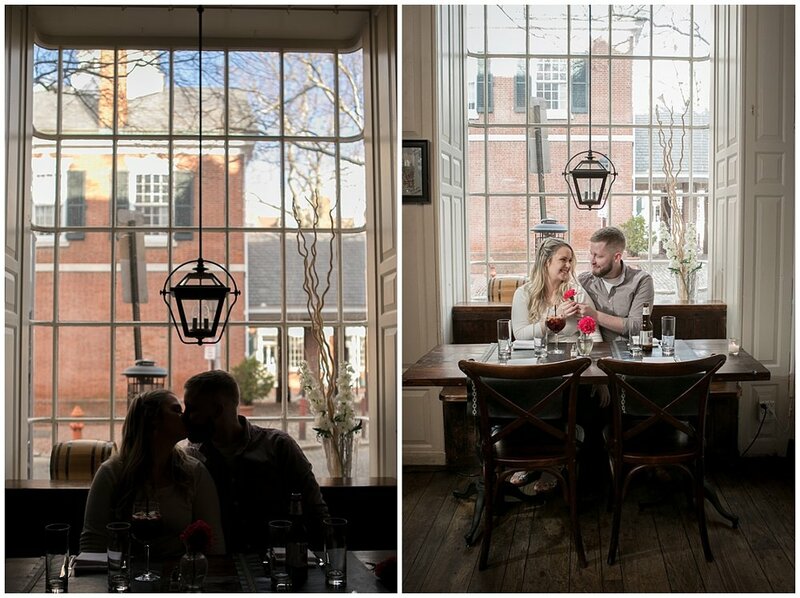 We began by walking around the cobblestone streets and then ended at Malbec Argentine Steakhouse for some cozy inside portraits. 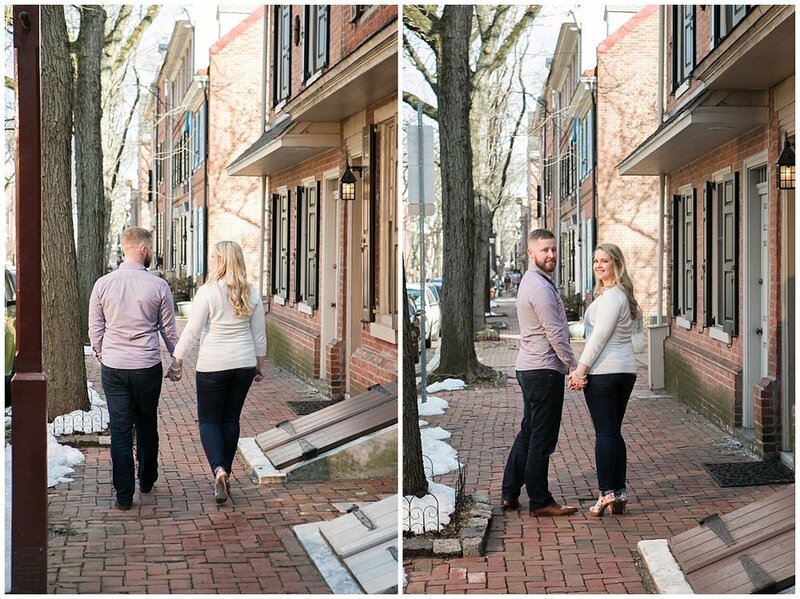 The diversity the city offers is why I love shooting engagement sessions in Philadelphia!